Morning: Experimenting with the recipes. I loved the ‘Good Morning Sunshine’ smoothie. It was the perfect pick me up in the morning. However, I did miss my morning coffee. I had a slight morning headache. I also made some skin detox tea to sip in my travel mug, and trick myself that I was getting my morning jolt of caffeine. Each bag of Yogi Skin Detox tea has 18mg of caffeine, compared to 90mg in an 8oz cup of coffee. I had a couple of snacks after my morning smoothie and tea. I cut up some sweet peppers, cucumbers, and carrots. I made the first Immune-Boosting smoothie. The blueberries and cocoa powder combination was not my favorite, but not terrible, and you couldn’t taste the spinach at all! I did a great job of drinking lots of water throughout the day, but I was pretty hungry when I went to sleep. Another smoothie and more tea. I was alright through the morning. I put off having my afternoon smoothie until I was done working my first job and heading to coach. I didn’t end up drinking it until around 3pm. Even after downing the (delicious) Clear skin smoothie I was still so hungry. I didn’t have anything to snack on except for some cut up peppers. I felt pretty foggy and sluggish. When I got home around 6:30 I made another smoothie, had a banana and a clementine and felt much better. I did have a big headache, but I did a terrible job of staying hydrated on day 2- I definitely made a mental note to drink much more water! I swear, I woke up feeling awesome on the third day! I made another Good Morning Sunshine smoothie, and I didn’t even have the slightest craving for a cup of coffee. This time I was much more prepared, when I left for work I had a bag of mixed vegetables, a dried fruit stick, and a clementine to snack on. I made sure to drink a lot of water throughout the morning and afternoon. I had noticeably more energy and felt just…brighter. I don’t know how to describe it, maybe just clearer. I made the third smoothie when I got home from work. I did cheat a little bit by having a vegetable soup for dinner- that I’m sure had ingredients other than just vegetables. But it was the end of the cleanse (I know, that totally isn’t an excuse). I woke up with a clear head and no grumbling in my stomach! I didn’t have any cravings, or really any desire to start my day with the sugary junk that I had been eating for breakfast before I started the cleanse. It was much easier for me to eat vegetables, because I actually enjoy eating them again. I have replaced the junk food I have been eating with much healthier choices. Now that I have spent three days resetting my body I don’t want to reverse my progress! Of course, small indulgences are perfectly alright, but that is what they are, indulgences. 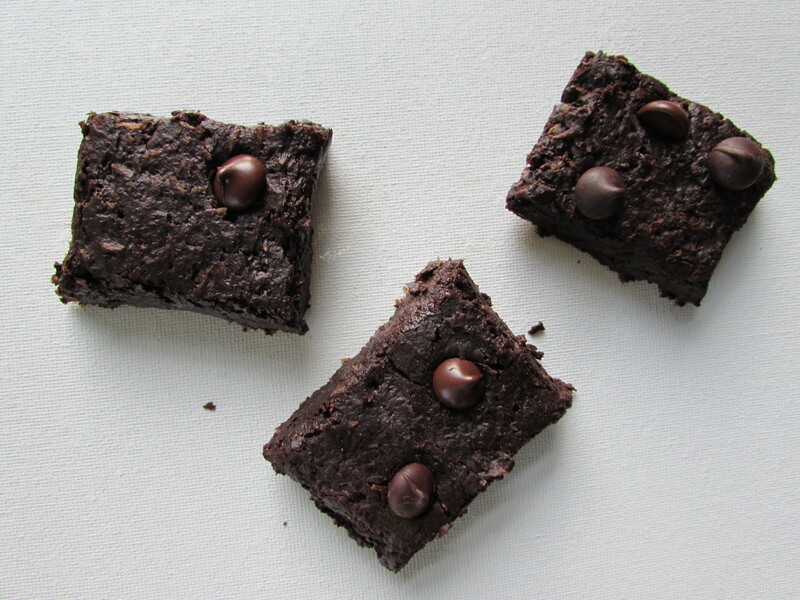 I will have some dark chocolate or a glass of wine as a small treat, which is much different than my desire to eat cookies for breakfast-(which is gone!). I have added my morning cup of coffee back to my day, but I am now much better about drinking water throughout the day. My skin is brighter and has cleared up quite a bit. I think this is the result of drinking more water, drinking the Yogi Skin Detox tea, and limiting my sodium intake for three days. Overall, this was a fantastic experience and definitely well worth buckling down for three days. 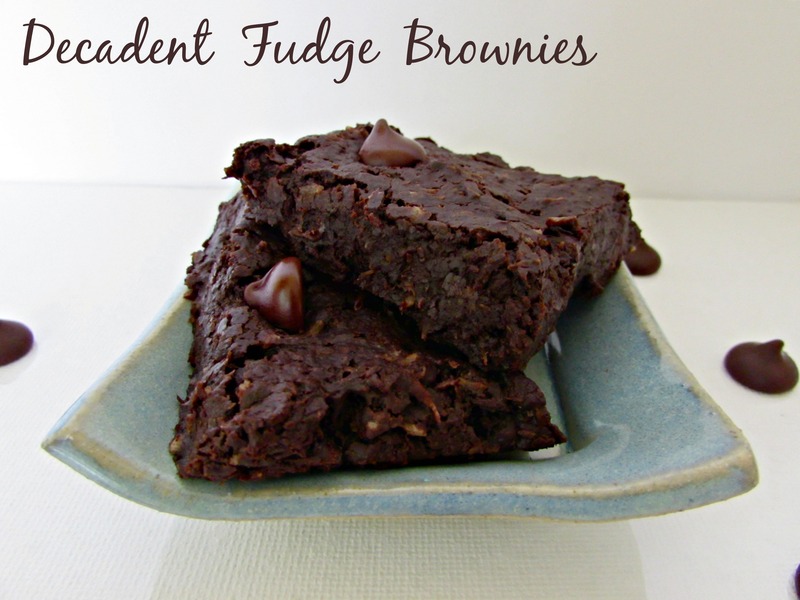 Now I just have to keep making healthy choices, but they are now so much easier to make! Did you try a detox this year, or in previous years? What kind of detox was it? What were your results?! Now on to the fun part.. This year, I am trying a new approach to my overall health and wellness. I want to treat my entire body better- by eating healthier, sleeping more, relieving stress, and working out! It seems like a daunting task and may be a bit vague, but it’s better than just…”I want to be healthier in 2014″, yeaa how many people are saying that. Most importantly I want to become healthier in a sustainable and realistic way. Although I am starting with a detox, the overall meal plan will be easy to follow the entire year. I feel like I have overindulged this holiday season, eating tons of Christmas cookies, sipping lotsa wine, and skipping too many dates with the gym. Eh, oh well, we’re all human. So, to reset my body, and stop feeling like junk, I am detoxing for three days. I am not starting this healthy life makeover with a detox to lose weight. This plan has so many beneficial aspects that many other detoxes and juice cleanses don’t have. 1. This is a full body reset: If you are generally feeling like…well to put it bluntly… crap. You know, the groggy, sluggish, yucky feeling- kind of like a holiday hangover…the antioxidants, vitamins, and minerals included in these recipes will help rid your body of toxins. 2. You can focus on different problem areas. 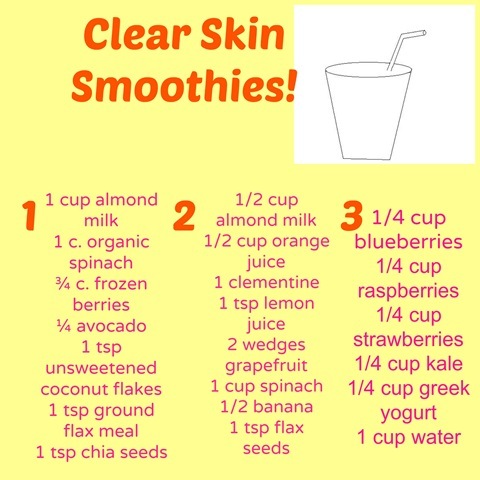 I love these recipes because they will help clear and improve my skin. 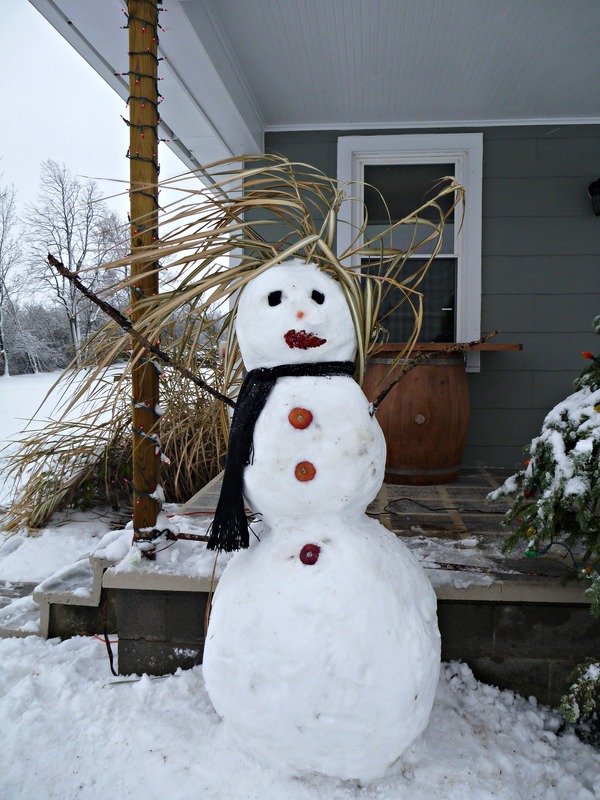 My skin HATES winter, it is always so dry and even painfully cracked all winter long. 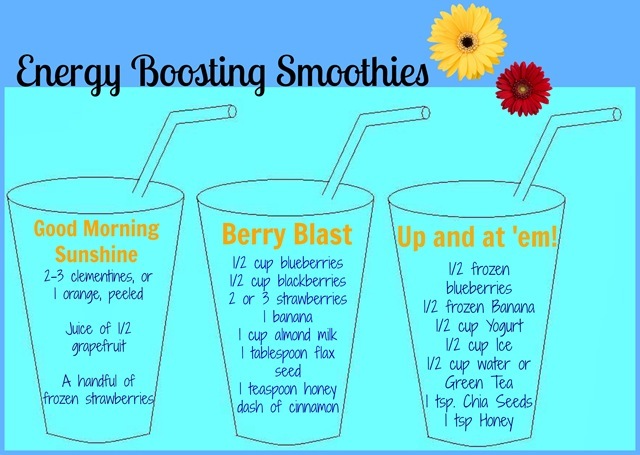 The vitamins in these drinks will help improve my skins health and overall appearance. I will also be sufficiently hydrated-something skin always appreciates! 3. Making up your own recipes, or using these ones is much more affordable compared to packaged juice cleanses. These materials can be found at any supermarket. I tried to use recipes that had some similar ingredients and didn’t include too many exotic fruits or hard to find ingredients. 4. It is easy to modify depending on your preference. If you hate the taste of ginger, you don’t have to add it-or even buy it! You can substitute a different ingredient, or leave it out completely. The recipes can all be changed to your liking. That is the other problem I have with prepacked juice cleanses. If they ship you a cleanse and you don’t like the flavor of one of the juices, you’re screwed! 5. After this detox it is easy to get back to “real life” eating without shocking your body. Instead of jumping back into eating and drinking everything you please as soon as your done with your “cleanse” I have found it is easier on you body to slowly add foods into your diet. This also helps with cravings! It is so simple to follow, your body will feel amazing in just three days. First, lighten up your toxin load. Eliminate alcohol, coffee, cigarettes, refined sugars and saturated fats, all of which act as toxins in the body and are obstacles to your healing process. 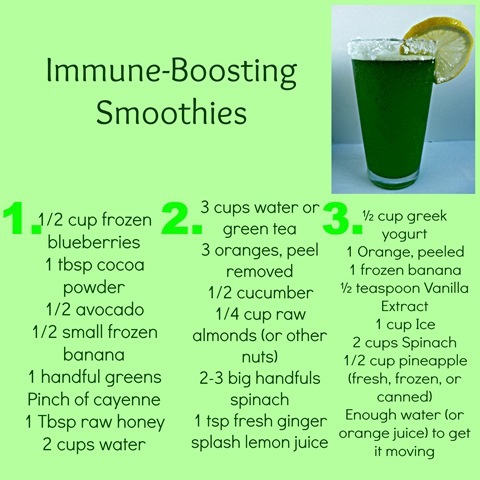 Next, for three days choose a yellow recipe every morning when you wake up, a green drink in the afternoon, and a blue drink in the evening for dinner. You can have as many snacks of fruits and vegetables as you want. And drink plenty of water! For the first three days, only the smoothie recipes (slight adjustments are alright!) and fruits and vegetables can be eaten. Then from day 4 on more food groups will slowly be added. I am not usually a supporter of ridiculous juice cleanses that cut calorie intake dramatically, or claim to make you shed 15 pounds in three days. This is not that sort of cleanse. This is not a liquid only diet, and you will still be consuming calories. This is just a way to reset your body, eliminate toxins, and begin a healthy year! 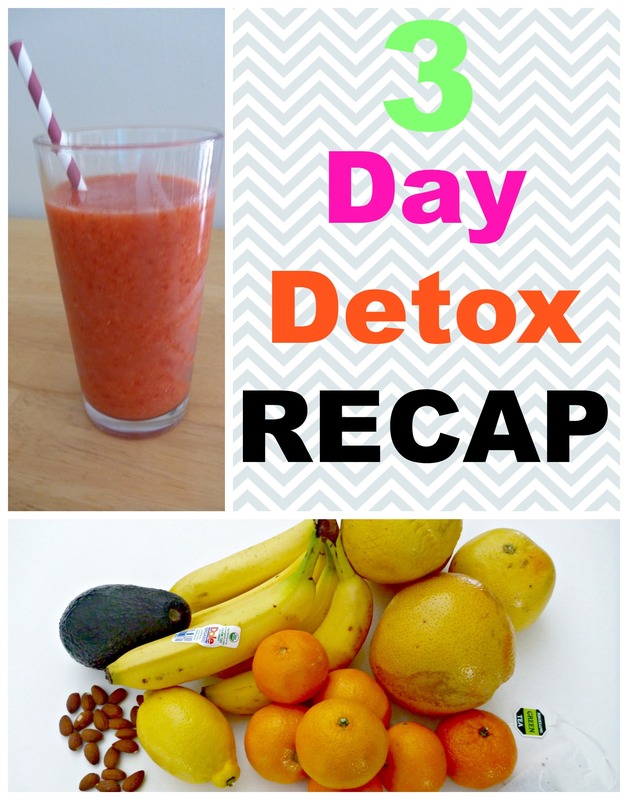 Follow me as I try this detox plan and update my blog with my progress! I am not a doctor. This plan is not right for everyone. I am just sharing my personal experiences and discoveries. DO NOT follow this plan without prior permission from a doctor. 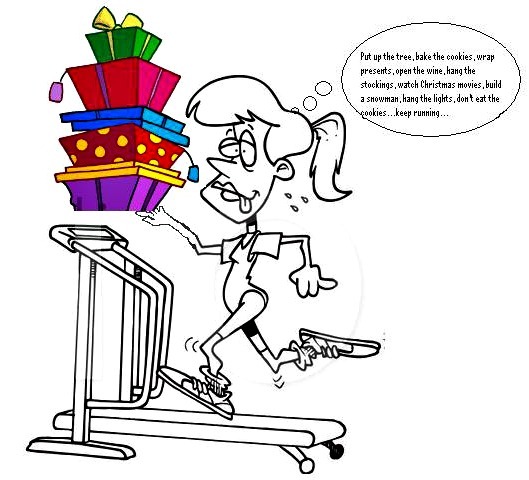 There is a TON of advice about staying fit, eating healthy, and not gaining 26 pounds during the holiday season. I am a pretty realistic person, I know that I am going to eat mashed potatoes, pie, Christmas cookies, and drink lots of wine and champagne…because, let’s face it, it wouldn’t be AS much fun if I didn’t. However! I don’t want to eat everything in site and feel like crap the whole holiday season either. Moderation is key…with everything except wine…in my house at least! Of course, everyone is different, I am not an expert, and there are tons of ways to keep your body in shape during this sugary season, but these are my favorite tips…and they don’t include stuffing broccoli in the pockets of your dress so you have a healthy snack at the party. 1. Eat what you want! …but only what you really want. Don’t chow down on the peppermint candies and cookies if you don’t even like mint. Eat things you will really enjoy, don’t just eat to eat. 2. Fill up on dinner or healthy snacks first. If you want to eat a little something before you even head out to the party that could be a good tactic, to avoid bad food choices. You won’t be as hungry, and therefore as likely to eat lots of unhealthy snacks. If you are already at the party, seek out the healthy options before you give in to the sugary sweets. Fill up on veggies, whole wheat crackers, and fruits first… then you will eat less cookies and cake later. 3. Drink lots of water! Alcohol will dehydrate you, and you probably won’t feel thirsty…(How can I be thirsty when I have been drinking ALL night!?!) Make sure you alternate sipping the bubbly with some good old fashioned H20. You’re belly and your head will thank you! 4. Bring your favorite healthy snack. If you know there will be limited healthy options at the party offer to bring your own. My go to favorites are Garlic Hummus, Dried Fruits, or Sweet Potato Crisps. It’s also great to “healthify” a favorite holiday recipe, like these Healthy Chocolate Chip Cookies. I will be posting more this season! If you are hosting the holiday party try to make your own appetizers instead of using packaged or frozen appetizers. 5. Fit in workouts. Even though the “holiday season” extends from mid-November through the New Year, there are really only a couple of actual holiday days…if that makes sense. I’m not saying you have to wake up at 4am on Christmas day so you can climb into your hot pants and jump on the treadmill before you see what Santa brought. But there are plenty of other days that you can fit a workout in! You can even cheat a little bit, a small workout is better than nothing, offer to take the kids out to play in the snow, park FAR away from the mall, or add a sit up routine to your mornings. 6. Give your body what it needs to keep you feeling great! I know it is a busy busy time, but try to get enough sleep and keep washing your hands, there are so many germs flying around this time of year. Work out, and fuel your body with healthy foods. 7. Give yourself a break! It is not the end of the world if you eat a whole family of gingerbread cookies, skip a couple workouts, or down a couple of beers… once in a while. Stressing out about it will make you feel 80 times worse AND stress weakens the immune system! Most of all, enjoy this time of year! Cherish time spent with family and friends. Be kind. Give back when you can. Be thankful. Dried fruit is an easy grab-and-go, healthy snack. There are some great options in the grocery store, but many contain added sugar, sulphur dioxide, or other preservatives. Fruit, especially dried, is sweet enough without more sugar poured on, and I don’t want to eat chemicals! The ‘Peeled’ snack line of dried fruits are a great option. They offer many delicious flavors of organic, sugar-free fruit snacks. You can also make your own dried fruits at home! If you own a dehydrator, it as simple as laying the fresh or canned (with no added sugar) fruits on the mats and plugging in the machine…then waiting, and waiting. Dried fruit takes time, that’s for sure. 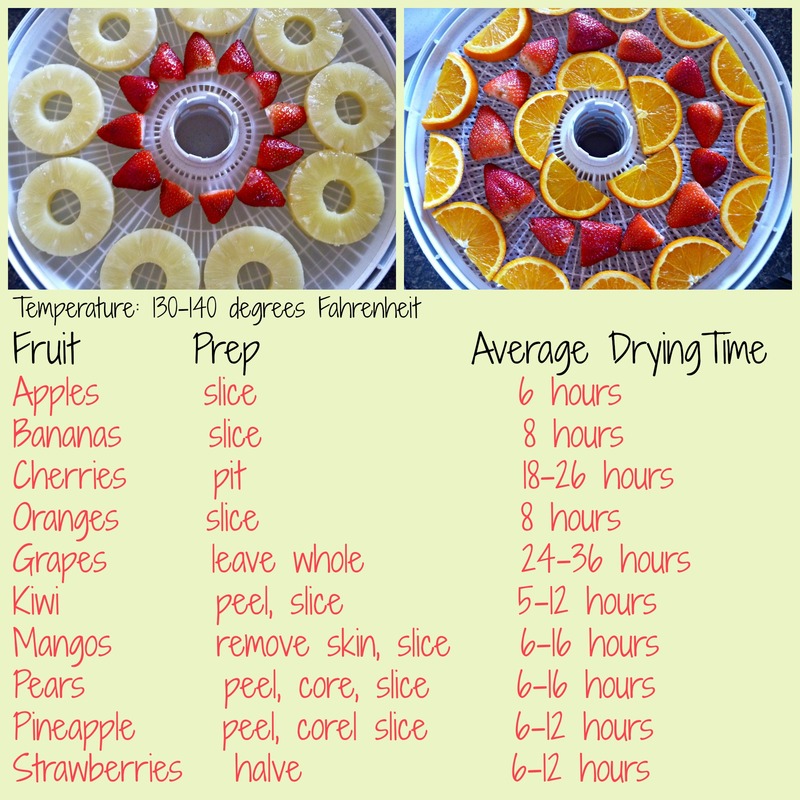 Here are the general time and temperature guidelines for drying your own fruit in a dehydrator. Make sure the fruit is cleaned and pitted. Taking off the skin will speed up the process. Most fruits should be sliced 3/8″-1/2″ thick. If it is sliced too thin, it will shrivel up too small as it dehydrates. I also found that if strawberries are cut up too small they just shrivel up into little gooey, seedy, things that are not too tasty. Fruit can also be dehydrated in the oven. Turn you oven on the lowest it will go. If it is close to 130-140 degrees-(which most ovens are not) the times will be similar to the dehydrator. 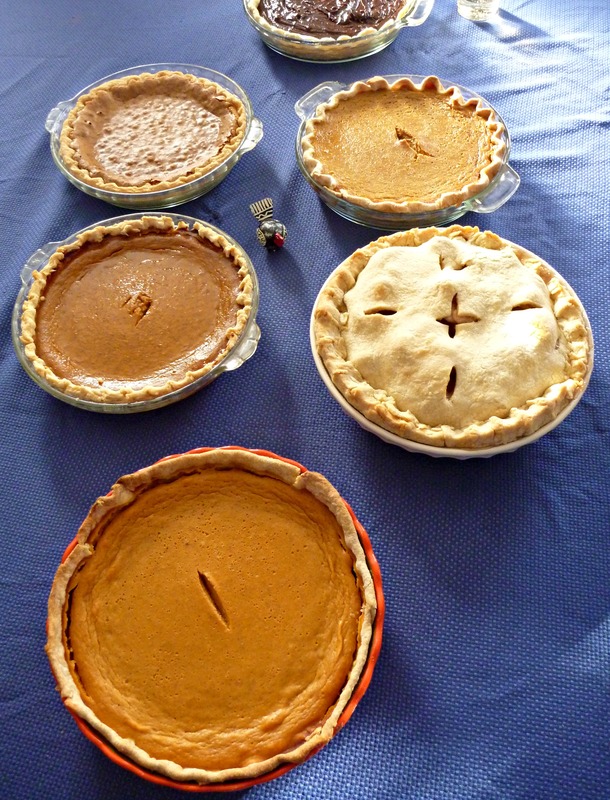 The higher the temperature of your oven the less time the fruit will take. Keep checking until the fruit is the consistency you desire. You can dry your fruits on a silpat or parchment paper covered baking sheet. 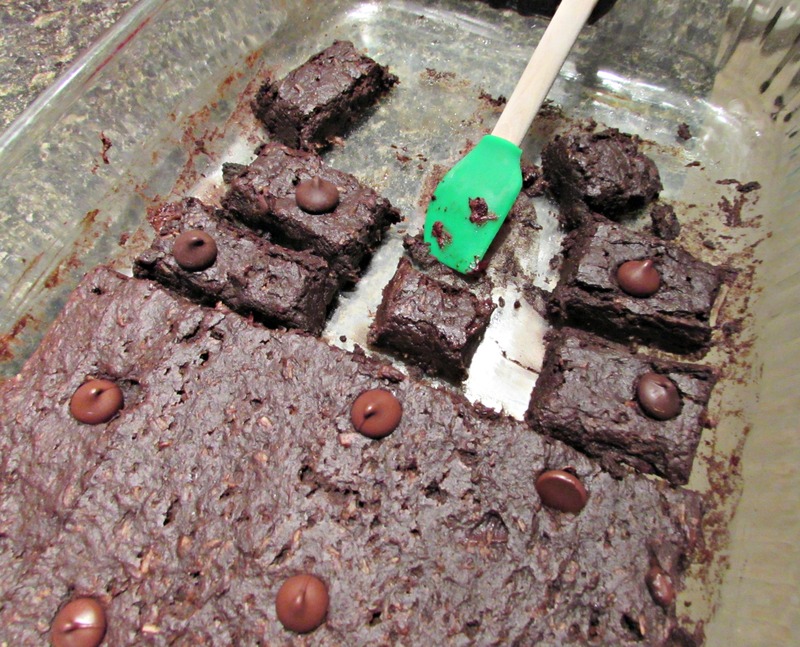 A cooling rack on top of a baking sheet also works well! The following table is for a 200 degree oven with fruit placed on baking sheets. 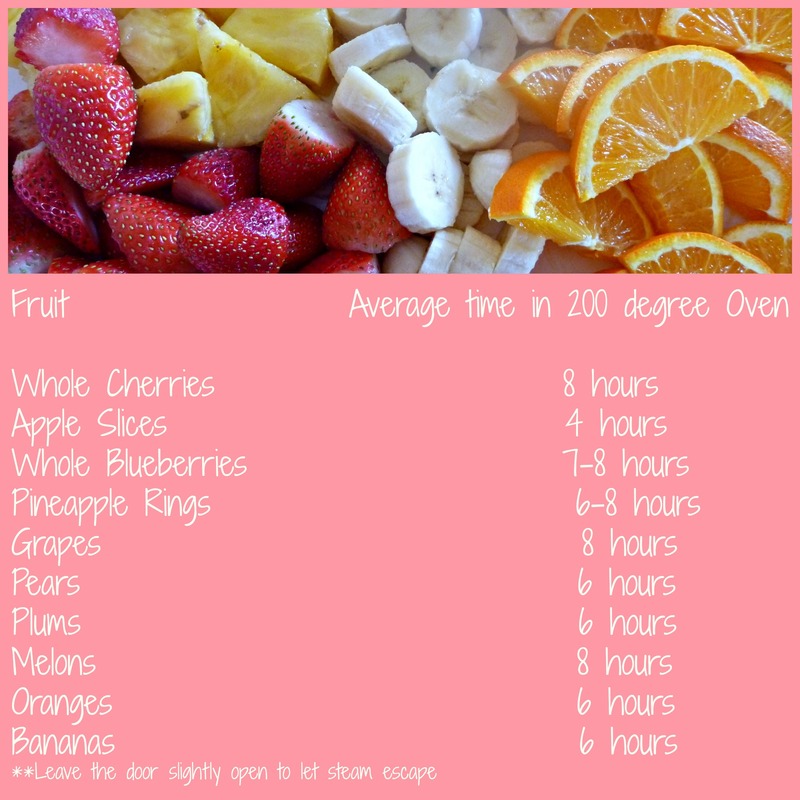 Drying times will defer depending on thickness of fruit slices and ovens. Dried fruit is a great snack by itself, on top of yogurt, or sprinkled on cereal. 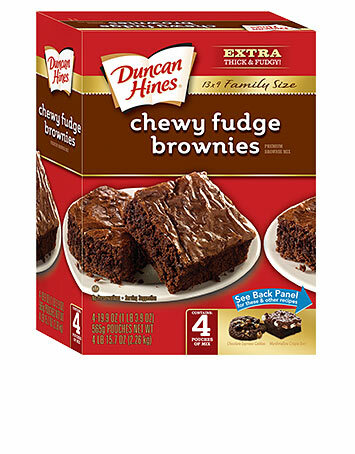 Add it to a homemade trail mix, or add it into baked goods! 1. A dehydrator is much safer than a open oven. Even though it is a low temperature the open oven could be dangerous for young children, and pets. 5. Herbs, vegetables, and meats are also great to dry in a dehydrator! 6. Drying your own fruit is much less expensive than buying it in the store! 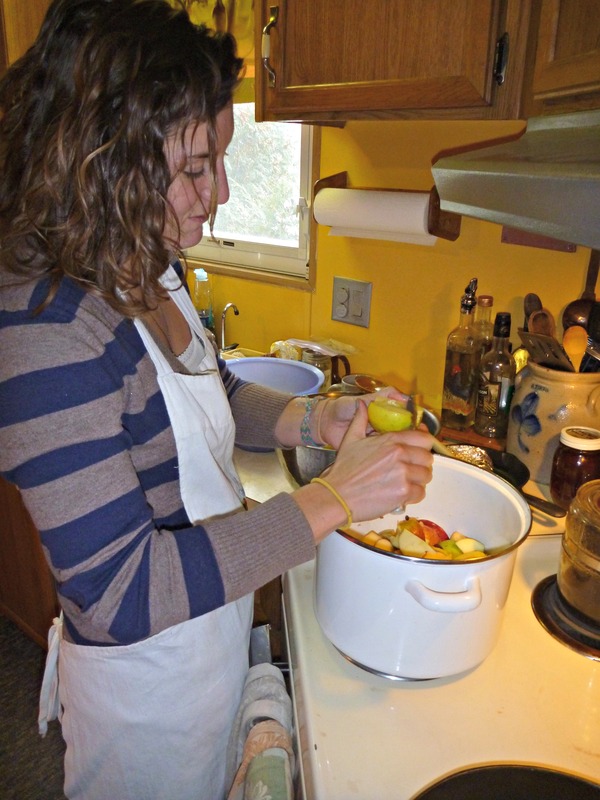 Do you own a dehydrator? Do you prefer the oven method? We have a crazy dog with so much personality. I think she’s confused and thinks she is a human. Maybe it was our fault for choosing the only pesky pup pulling on the ears of her siblings, nipping their tails, and chasing them around their pen. We should have known then what we were in for! Meet Clementine Spaghetti. …She’s nuts!! But she is so darn cute! 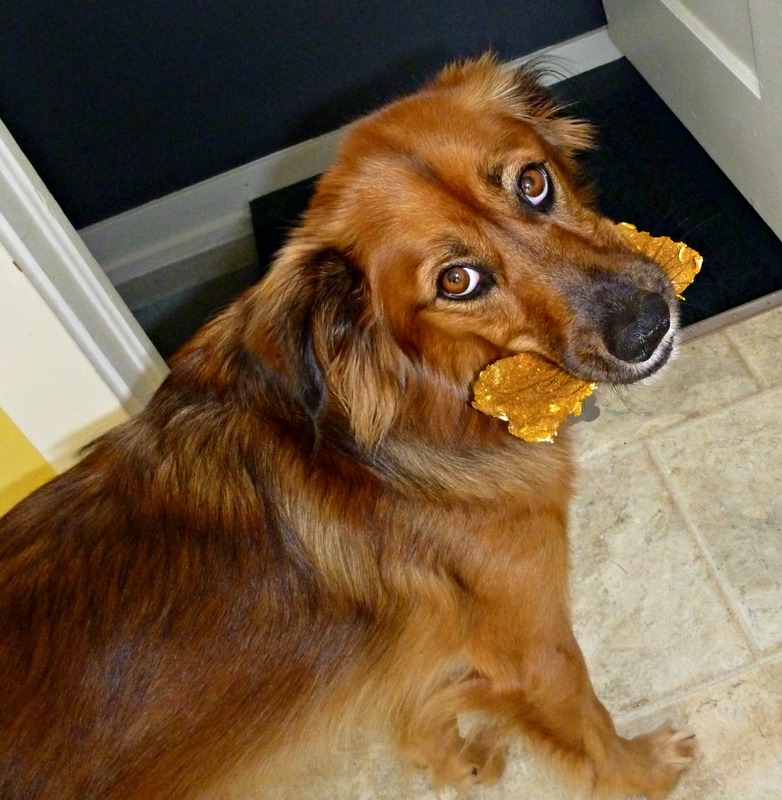 Dog treats often have some questionable, even dangerous ingredients in them. Many of these ingredients to avoid can be found on The Dog Food Project website. Some treats do not even have the ingredients listed. As always, the best way to make sure you know exactly what is in your food, or your pet’s food, in this case, is to make it yourself! Now that we are halfway through November (when did that happen?!) the pumpkin craze is dwindling down. If you are like me, you have cans of half used pumpkin lining the shelves of your fridge. This is the perfect recipe to use up that leftover pumpkin! And your pup will love you for it! If you don’t have a dog bone cookie cutter you can make any shape you like! 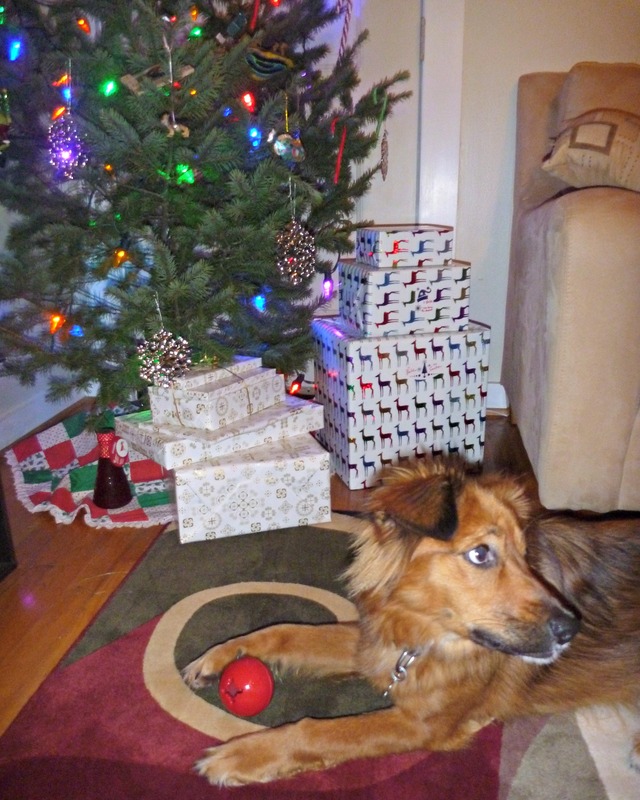 Or form round disks, dog biscuits…if you will. This recipe makes about a dozen large bones, or two dozen small bones. Clementine LOVED these treats. Sometimes she doesn’t really care about bones or treats and she will just spit them back out on the floor, or leave them outside. But she gobbled these ones right up! …and then she begged me for more. 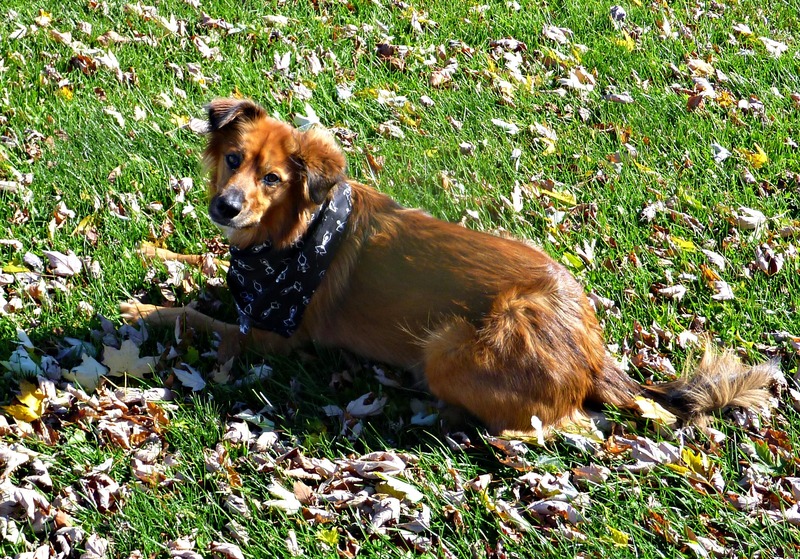 **Do not use nutmeg in any recipe you will feed your dog, even small amounts can make them sick. 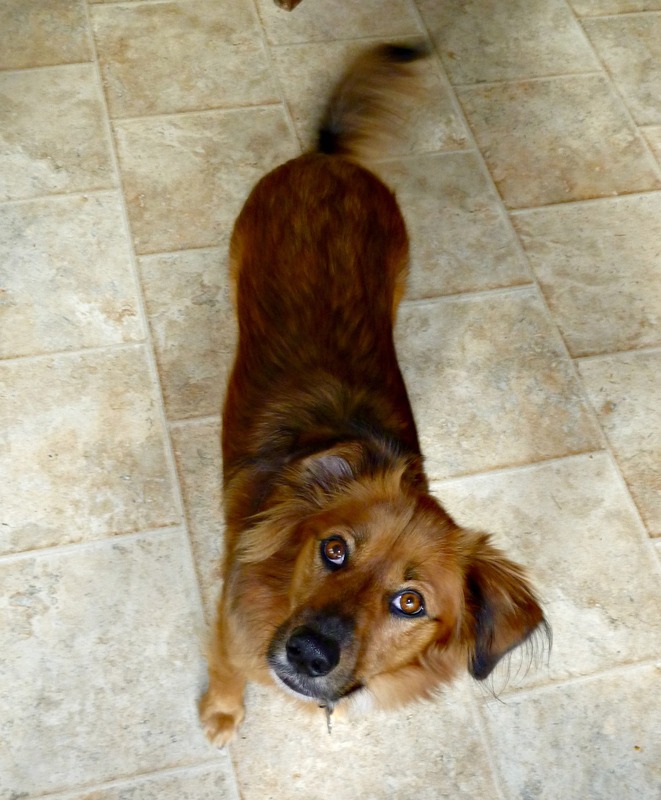 Grapes, Raisins, garlic and onions should also be avoided in recipes for dogs. 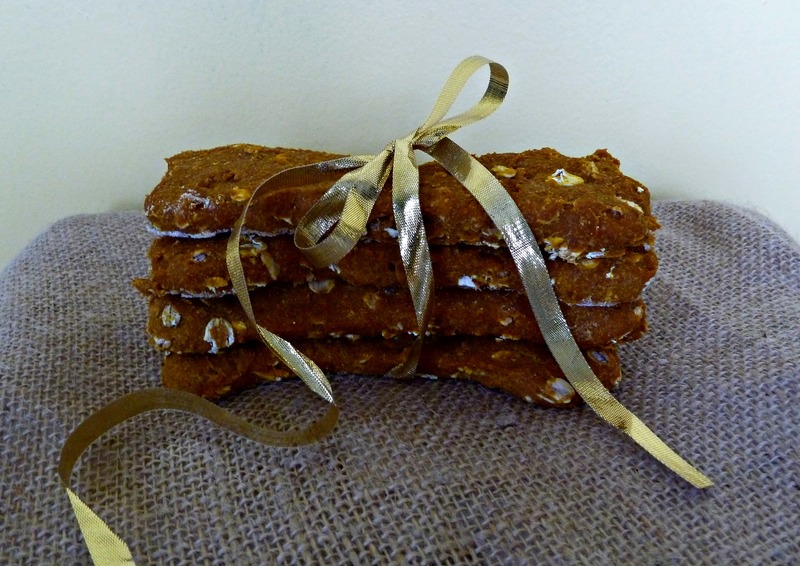 These treats would also make a fantastic gift for your pooch loving friends! 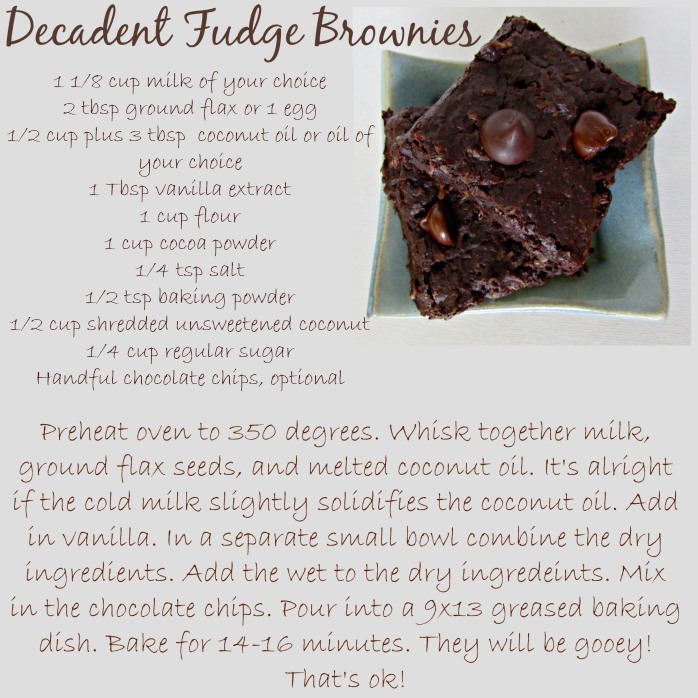 Have you ever made treats for your pets? What is your favorite recipe! ?